Title: 'Bercheria vulgo Barkshire'. Latin text on the verso. 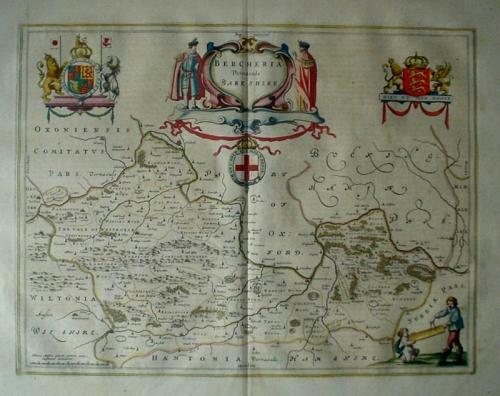 A very decorative map of the county of Berkshire, with armorials and escutcheons. The map is in excellent condition with very slight foxing at the margin (well away from the plate area).